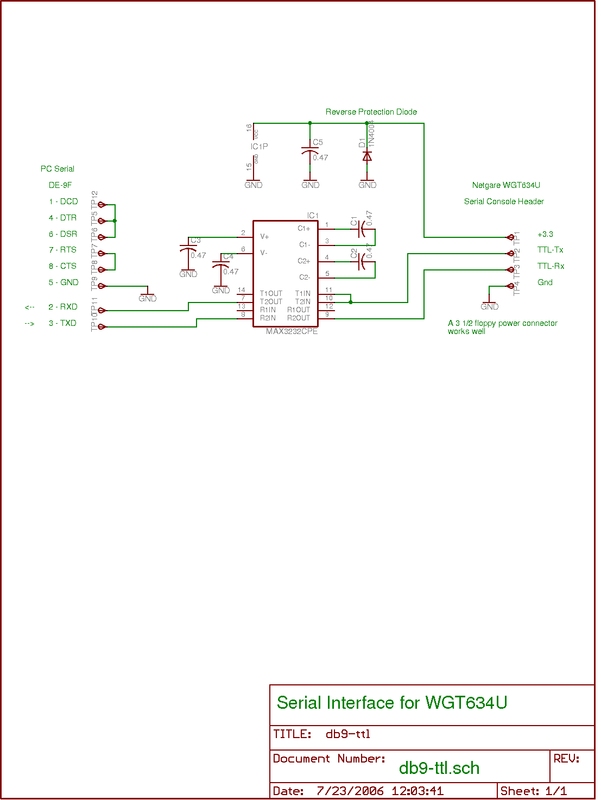 This project was developed to facilitate using the serial console port on the Netgear WGT634U wireless router. 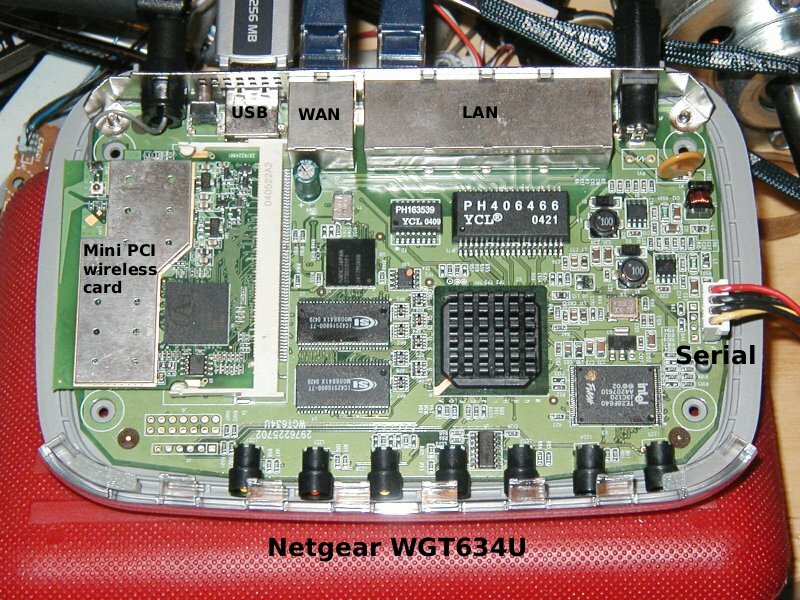 The WGT634U is based on the Broadcom 5365P board that features a 200 MHz MIPS CPU along with 2 serial ports, 8 MB flash, 32 MB RAM, a wireless network card, a USB 2.0 port and 5 10/100 wired network ports. To top it all off this card runs an open source operating system known as linux. For the embedded version of the operating system I am using see http://openwrt.org/ or http://wiki.openwrt.org/. To fully utilize and work with this fine embedded controller, one needs to talk to the processor at a low level via one of the on board serial ports. 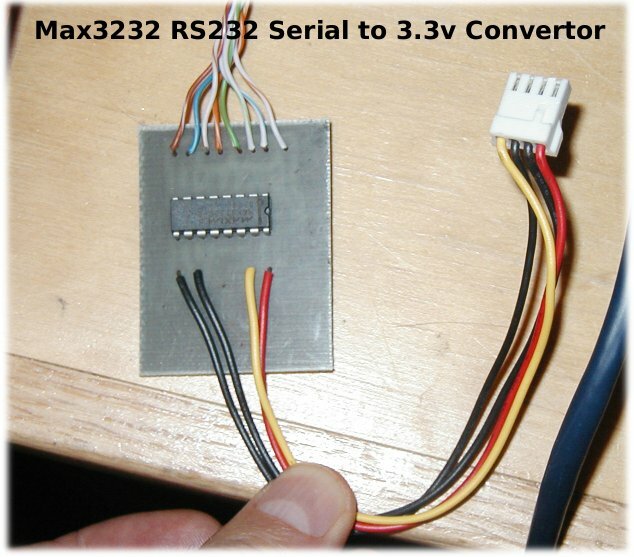 The serial ports in their native form are at a 3.3v level and need to be converted to a standard RS232 level compatible with a standard PC serial port. 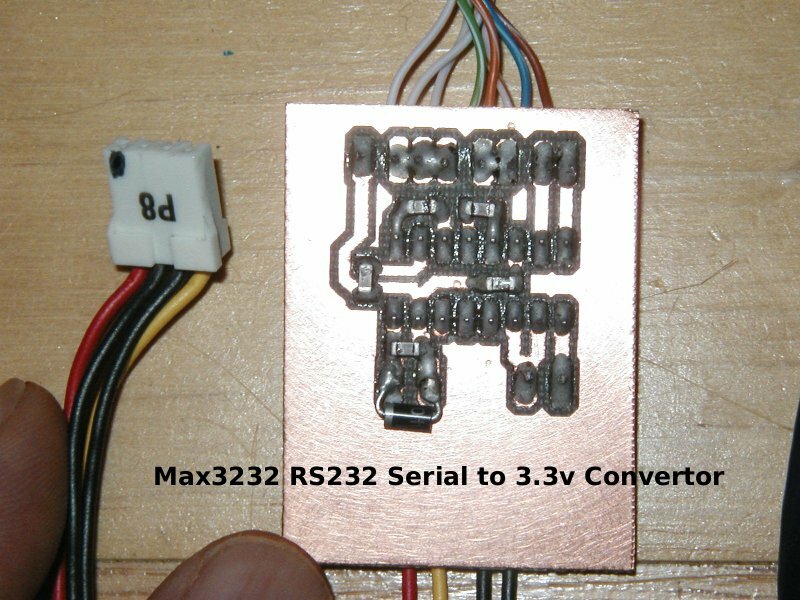 This project uses the MAX3232 level convertor chip to make the process easy. 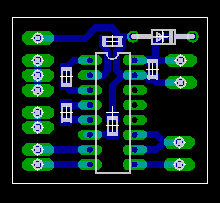 This project includes a small PCB designed in the eagle PCB design package, but is simple enough that it could be built on a breadboard. You will need a way to etch or mill a small PCB. The design files are included below. The PCB's can also be manufactured by several commercial PCB houses. Although the design uses a combination of surface mount and through hole components, the larger 1206 size surface mount components are easy to work with without special equipment. The single sided circuit board can be etched or if you have a milling machine, these boards can be milled using the pcb-gcode.ulp program available for the eagle pcb software. No software code is required.